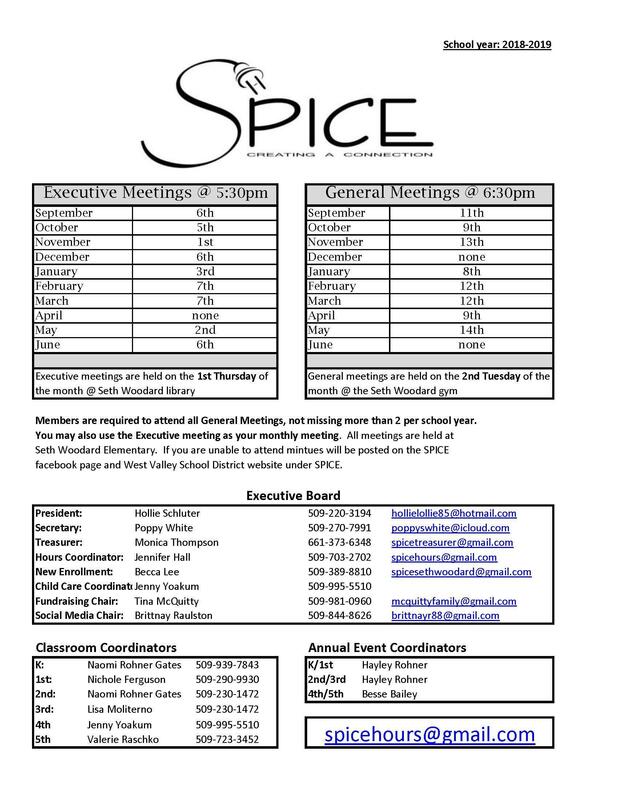 SPICE is the acronym for Student Parent Interactive Classroom Environment. This program is offered to students in grades Kindergarten through Fifth grade. Families of students enrolled in the SPICE program provide 45 hours of volunteering, attend monthly meetings, participate in a variety of fund-raising events, and pay an annual family fee to participate. Currently enrolled families always have the opportunity to return for the coming year and new families are invited to enroll into open spaces each spring. For additional information regarding participation, you are welcome to phone Seth Woodard at 921-2160 and leave a message for the enrollment coordinator.